Ametalin SilverWrap™ Light Duty is a 97% reflective, pliable building membrane. Acting as a barrier to radiant heat, it enhances the energy performance and thermal comfort of a building, while providing a physical layer to protect against water and air infiltration. Providing superior strength, flexibility and durability, Ametalin SilverWrap™ Light Duty is designed for use in all wall system types and regions of Australia in residential and office buildings, and is also suitable for use under metal roofs. 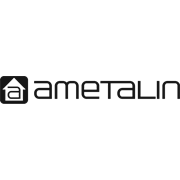 Ametalin SilverWrap™ Light Duty is not designed to withstand prolonged direct exposure to the elements. Accordingly, the outer construction envelope should be installed without delay. Aluminium foil should not come into contact with wet concrete or mortar, as the aluminium is susceptible to alkali corrosion. Ametalin SilverWrap™ Light Duty should be installed in accordance with AS/NZS 4200.2: 1994 Pliable Building Membranes and Underlays, Part 2: Installation Requirements. 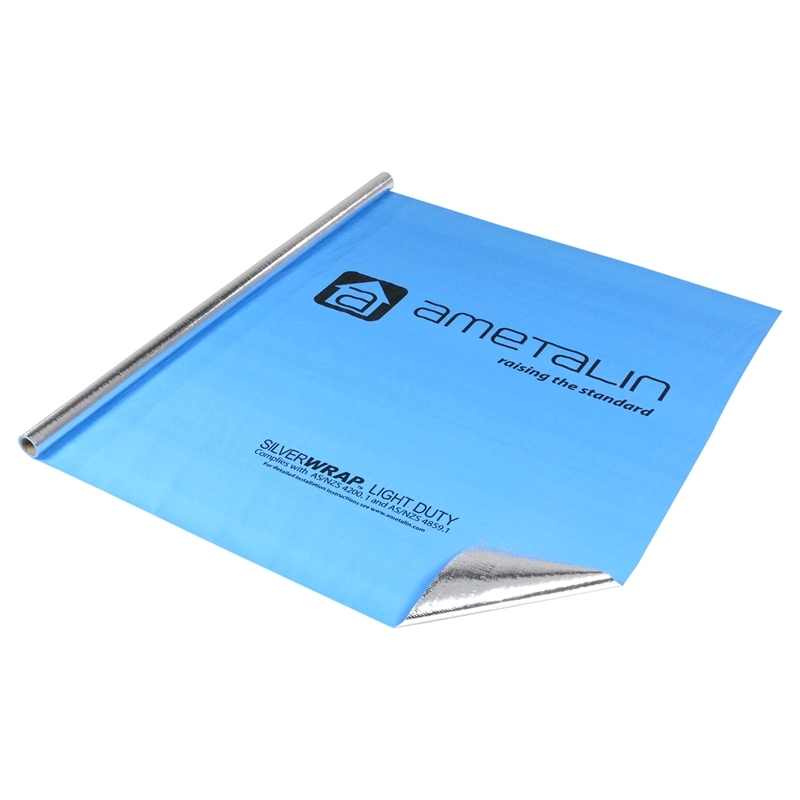 Ametalin SilverWrap™ Light Duty should be installed horizontally as a continuous membrane by fixing to all framing members with the blue side facing out.